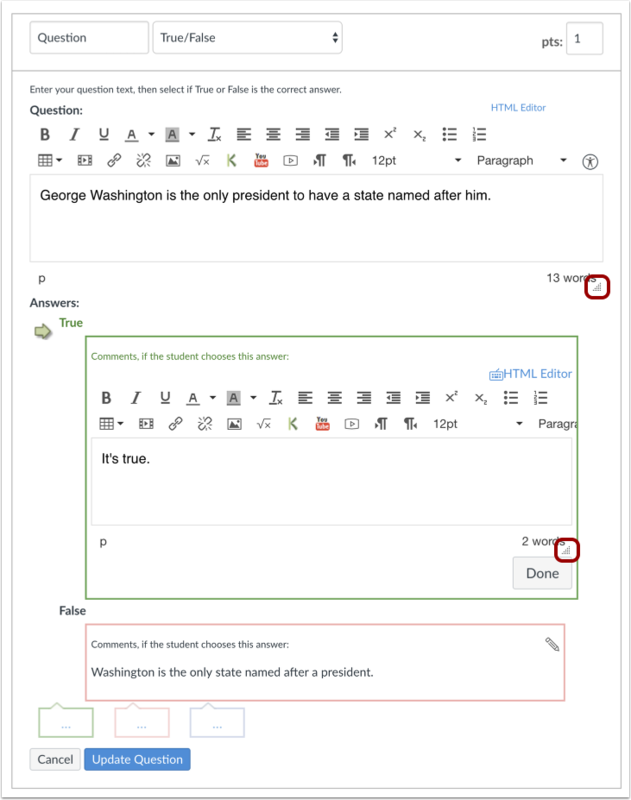 If you need to edit a True/False question after publishing the quiz, you can use quiz regrade to edit quiz questions and tell Canvas to update grades for students who have already taken the quiz. Type or paste text in the answer comments fields. Use the handle at the bottom-right of the text box to expand. 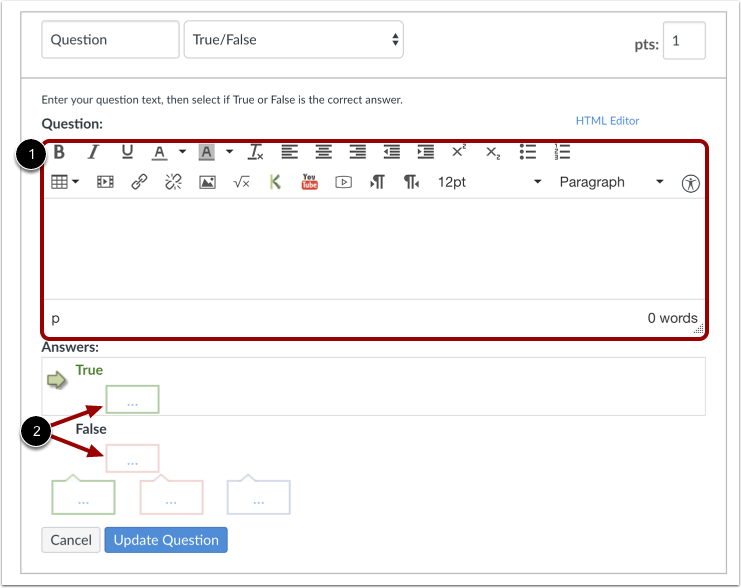 Note: Any answer comments are visible as soon as a quiz is submitted and cannot be hidden from students. 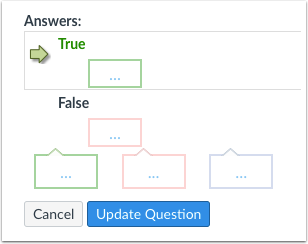 This is what a student sees when they encounter a True/False question in a quiz. They will see if their answer was correct or incorrect. 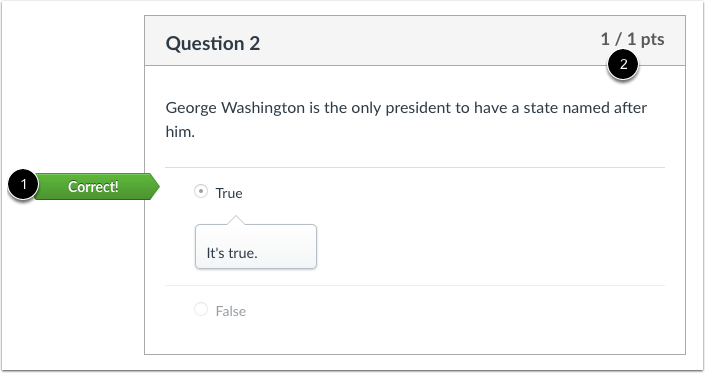 No credit is assigned if the student answers a True/False question incorrectly . Previous Topic:How do I create a Multiple Choice quiz question? Next Topic:How do I create a Fill-in-the-Blank quiz question? Table of Contents > Quizzes > How do I create a True/False quiz question?